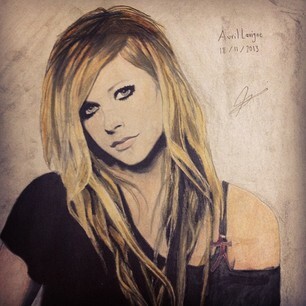 My drawing of Avril Lavigne. Hope آپ like <3. I drew a portrait of the one and only, Avril Lavigne. Wallpaper and background images in the Avril Lavigne club tagged: photo sketch drawings avril lavigne. This Avril Lavigne fan art contains ڈاؤن لوڈ ہونے والے, مزاحیہ کتاب, منگا, کارٹون, ہالی ووڈ, and کامک بُک.